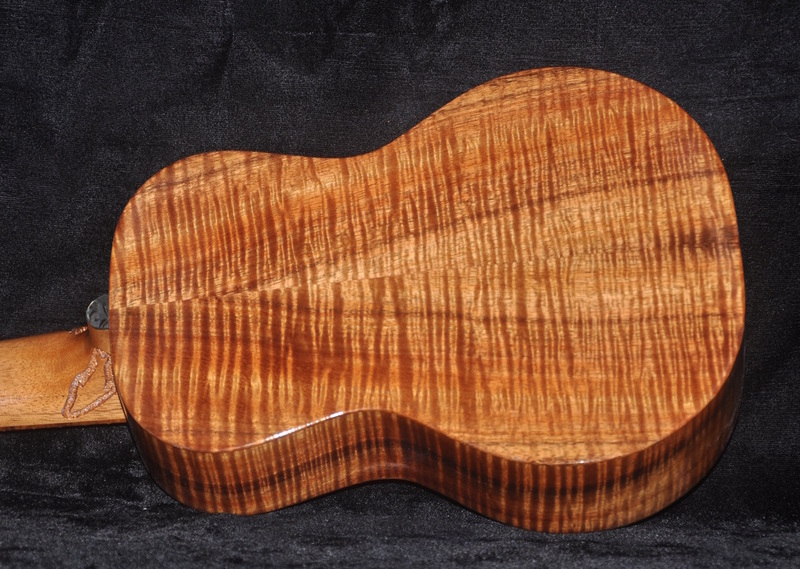 This is a new curly koa concert ukulele. 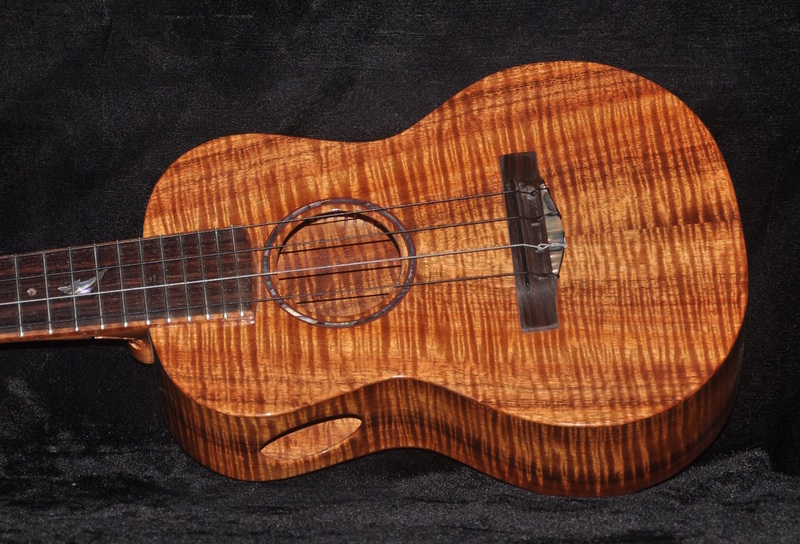 I made it as an entry for the Big Island Ukulele Guild show, which just ended. I always try to make something special for the annual show. 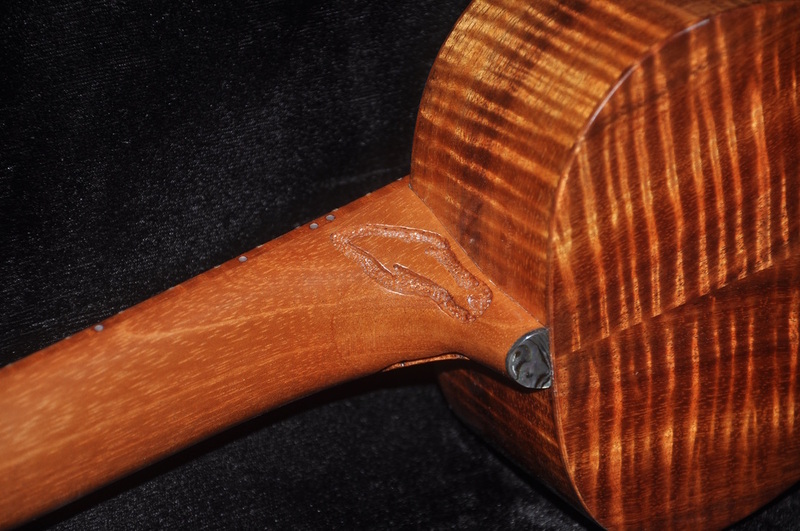 It is built with some of the nicest koa I have ever had and is made in a very traditional style with no binding on the body. It has a Spanish cedar neck, and rosewood fretboard, and bridge. Paua shell rosette and hand cut inlays on the head and neck. The fretboard is radiused and bound with curly koa. Black micarta nut and saddle. Soundport. Gold plated Grover tuners with pearloid buttons to reduce weight. 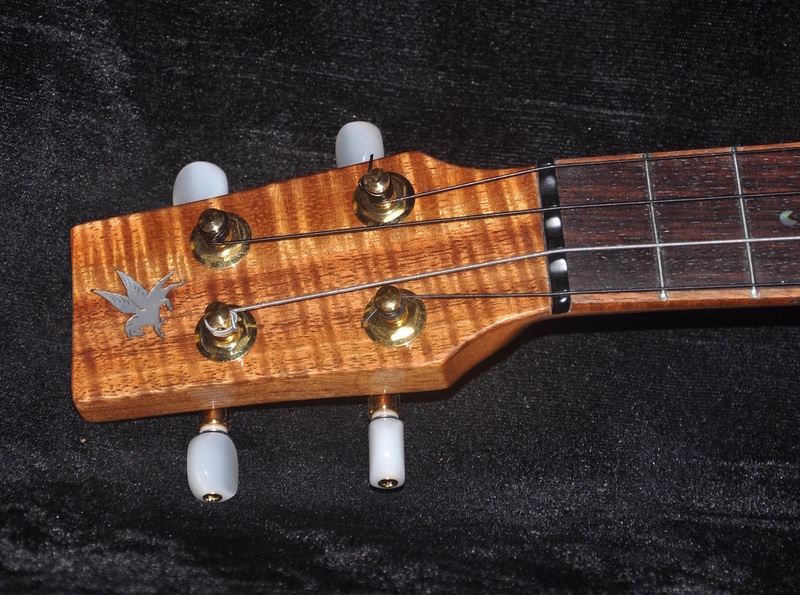 Hand carved dolphins on each side of the neck and dolphin inlay on fretboard. Lacquer finish.